If you love the idea of making people look and feel good then a career in beauty could be for you. If you’re friendly, enjoy making people feel relaxed and take pride in what you do then beauty therapy is definitely for you! If you’re just getting started, make sure you choose the right course to help you achieve your career goals, whether it’s full-time employment or your own home-based or mobile salon. Your beauty course must be accredited by an awarding body such as ITEC, VTCT or City & Guilds, and qualifications must be fully insurable. 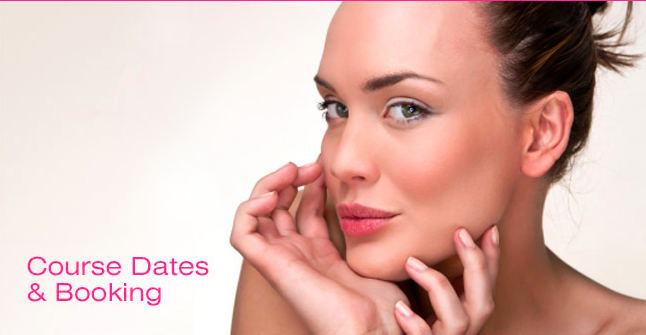 These are important requirements that will enable you to carry out treatments professionally. There are different career paths into beauty. If you work full time you can take evening courses at a local college. Or you can take an apprenticeship with a salon where you’ll learn on the job and have time out to study for professional qualifications. However, more therapists are now opting for fast-track NVQ courses in beauty. These are usually taught in private training centres that enable you to fit study around your schedule. Level 2 NVQ is the starting point and has all the core units you need for going into the industry – waxing, manicure, pedicure, facial and make-up. Fast-track courses usually involve one or two days of theory and practical, followed by coursework and practice to complete your portfolio. After a final assessment you’ll receive your qualification. You can then choose to specialise, which involves taking NVQ Level 3 and 4 courses. To find your niche, my top tip is to keep up to date with emerging trends by reading industry magazines such as Professional Beauty and other online news. Whether you’re newly trained or you’ve specialised in an area such as electrical facials, you can gain employment in a wide variety of places: high street salons, hotel spas, cruise ships, health and fitness or country clubs. If you choose to work for yourself, you can pick the hours that suit you. Or, for a fast-paced life, you could work with celebrities as a beauty therapist or make-up artist in TV, film or fashion. There are so many opportunities in the buzzing beauty industry but it starts with gaining professional qualifications from a reputable awarding body and making sure you are fully insurable. Microblading is the alternative way to fill in your eyebrows – but what is it? IF YOU’RE funny about the thought of needles injected into your face then how about a blade that goes into each hair of your eyebrow? If the very thought horrifies you then stop reading now! But if you’re interested to know more about microblading (aka ‘brow embroidery’) and you’re fed up with brow gels, pencils and tattoos, then read on! Microblading is being positioned as the new alternative to filling in your eyebrows, whether your brows are arched and feathered or straight and bold. The benefits are many for clients who want to fully reconstruct their brows, or to define the arch, cover gaps or fill-in over plucked eyebrows that haven’t grown back. It takes about two-three hours, it’s relatively painless and you can even go swimming straight after. So how does microblading work to fill the brow? Microblading is a semi-permanent makeup, also known as cosmetic tattooing. Technicians use a hand tool and very fine needles to deposit high-quality pigments underneath the top layer of the skin. They do this in such a way that it mimics actual hairs. This highly artistic, labour-intensive technique can match the growth of the natural hairs of each client. How does it compare to eyebrow tattooing? Microblading is manual and uses a hand tool, while permanent makeup uses a vibrating machine to implant the pigment. Microblading does not vibrate so the technician can be more exact when they draw hair strokes in the skin. New York beauticians and their clients are going crazy for microblading, and here in the UK, the Tracie Giles salon in Knightsbridge is now offering the treatment – they already have many celebrity converts to microblading! To find out more about the Tracie Giles microblading method, along with prices, visit her website here. Permanent makeup artist Tracy Fensome also offers treatments in Hertfordshire, Bedfordshire and Buckinghamshire. Watch her short film here of how she does brows! Have you had microblading done? What do you think of the results? Would love to know your thoughts! Email beautytrainingharrow@hotmail.co.uk or drop me a message on Facebook. This blog is brought to you by Beauty Training Harrow 020 8206 2930. IF YOUR busy lifestyle is playing havoc with your beauty regime and you want to get it back on track then a skin detox could be the quick fix you need. There are tons of ways to kickstart a skin detox and drinking more water is one of the easiest things you can start with. However, if you’re looking for a go-to product when skin looks lacklustre and in need of a helping hand then check out these five high street buys. They will not only rehydrate your skin but bring your natural glow back in time for summer! I’m a huge fan of Dermalogica and if you ever visit my salon you’ll see why! Not only is it one of the most effective skin ranges but it is also free of artifical fragrances and colours. Dermalogica’s Recovery Masque is an antioxidant-rich masque applied after cleansing and is a cooling, revitalising remedy. Botanicals help soothe and calm stressed skin while vitamins A, C and E help repair skin damage. This skin-clearing product uses seaweed to keep skin soft and hydrated and clinical studies show that it keeps spot-causing bacteria and redness away. The range is alcohol, paraben and SLS-free. This natural gel tackles skin problems fast as it dries out spots while at the same time healing and soothing irritated skin. I don’t know anyone who doesn’t love Liz Earle and having tried her Cleanse & Polish myself I certainly felt and saw a difference. This product lasts for ages and comes with a muslin cloth – just massage the polish into your face and wipe clean with the hot, moist cloth. You’ll feel fresh and look glowing! If you’re prone to dark circles under your eyes then never have them again with this pair of eye treatment pens. One has a violet tone cream to neutralise darkness while the other contains a light reflecting concealer. A handy pair together! AS THE demand for male grooming increases in double-digit figures in Britain, beauty therapists need to keep up with changing trends. And if recent statistics are anything to go by, the wet shave is enjoying a timely renaissance. There is now a 50% rise in men now asking for wet shaves across British barbers and salons. It’s now trendy for males to go to the traditional barbers for a hot towel shave. Both Harrods and Selfridges have gone one step further and introduced a Gentlemens’ Lounges in response to the increased demand of this service, and of male grooming in general. The lounge at Harrods comes complete with a rare whisky bar for men who want to indulge themselves after a luxurious facial treatment, which includes a wet shave. For the above reasons, but especially because I am always striving to improve my professional skills, I recently took a wet shaving course. My cut-throat wet shave course was a Level 3 ITEC and I had so much fun. The goal was to learn to wet shave to a professional standard. We had hands-on practical experience on about eight models throughout our two days at the London School of Barbering in central London. The professional course is fully insurable and qualifies as CPD (continuous professional development) in the beauty industry. Hot off the press: we now offer wet shave at Yvonne Sullivan Beauty! A hot towel, cut-throat shave using Murdoch London products made in England. This 30-minute treatment comes with a cologne of your choice to finish. In this 1-hour five-star treatment you can completely relax before or after your Classic Wet Shave experience with an express facial treatment. SPECIAL SALE of nearly new beauty equipment, DVDs and books – all for £200! Here’s a fantastic offer that you won’t find anywhere else – a set of beauty equipment, training DVDs, books and other great essentials for beauty therapists. All for just £200! One of my clients has decided to join the music industry so is selling all of her nearly new and brand equipment, products, books and training DVDs.